Wild is wonderful, but a garden that honors precision and placement speaks to us in an equally remarkable way. 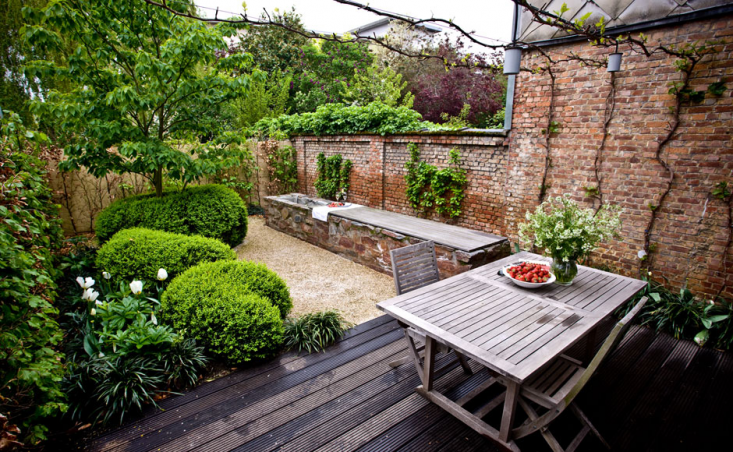 Gardenista looks to the symmetry and geometry of French gardens in this compilation of great ideas for outdoor spaces. The beauty of some of these juxtapositions — a manicured lawn and a vivid tangle of roses; shapely rows of hedges and the explosion of small flowers across a brick wall or trellis — is deeply gratifying.